Vertically integrated agrochemical company, which is included in the top 10 world fertilizer producers. 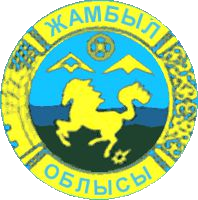 In Kazakhstan - since 2014. The company is developing deposits and preparing for the construction of a plant for the production of potash and complex fertilizers for delivery to the markets of China and Central Asia. Investments - more than $ 130 million. The planned production capacity is 1 million tons of fertilizers. The largest feed mill in the Zhambyl region with a production capacity of 480 tons per day. Own railway deadlock and developed railway makes the plant an active participant in the economic life of the whole of Kazakhstan. The project of the plant was developed in a planned economy and is aimed at servicing Farms, Poultry farms, Feeding plants and Sites. Today it is a customer-oriented company in relation to all customers, livestock farms, small farms, entrepreneurs and personal similar farms. The company develops and mines gypsum at the largest in Kazakhstan field, Ulkun-Burultau, and also mines marble at the Molodezhny open-cast mines of the Kordai field and the main part of the Kyzyl-Bastau field. The Burnoye Solar-1 company ("The Stormy Solar-1") was established in April 2014 and is a joint project of Samruk Kazyna Invest and UGEL for the construction and production of alternative energy sources, in this case solar. Since May 2014, construction of the SES in the Zhambyl region began in a sec. B.Momyshuly (formerly S. Burne) with a capacity of 50 MW. "Kaz-Ir Agro" LLP registered in 2006 and specializes in the production of safflower, as well as production and processing of safflower oils in the Republic of Kazakhstan. LLP "Factory posh-Taraz" Dzhambul factory of primary processing of wool was built in 1961 on the street.In 1992 Dzhambul factory of posh was reorganized into open joint stock company "Tulpar".In 2001 the production cooperative "Factory posh"was formed. In may 2008, there was a reorganization of PC "Factory posh" by joining LLP "Factory posh-Taraz". The Kazphosphate LLP company was founded on October 27, 1999 according to the legislation of the Republic of Kazakhstan. The head office is located in Almaty. The main production facilities are concentrated in Zhambyl region, respectively, the operating activities of the Company are managed from the office located in Taraz. "Zhambyl regoin Cement Production Company" LLP (ZHCPC) - this is a first-ever joint Kazakh-French cement factory. This is one of the most advanced production plants in Kazakhstan with technological development, with a priority focus on the State Program for Forced Industrial-Innovative Development for 2010-2014. Entering into economically significant facilities, the construction of the plant was set up by the Government of the Republic of Kazakhstan, as well as by the Heads of State Nursultan Nazarbaev. The production capacity of the plant amounts to 1.2 million tons of cement in the year, allowing to promote the evolving needs of the Kazakh market. The cement plant is located in the Moiynkum district of Zhambyl region. There are.